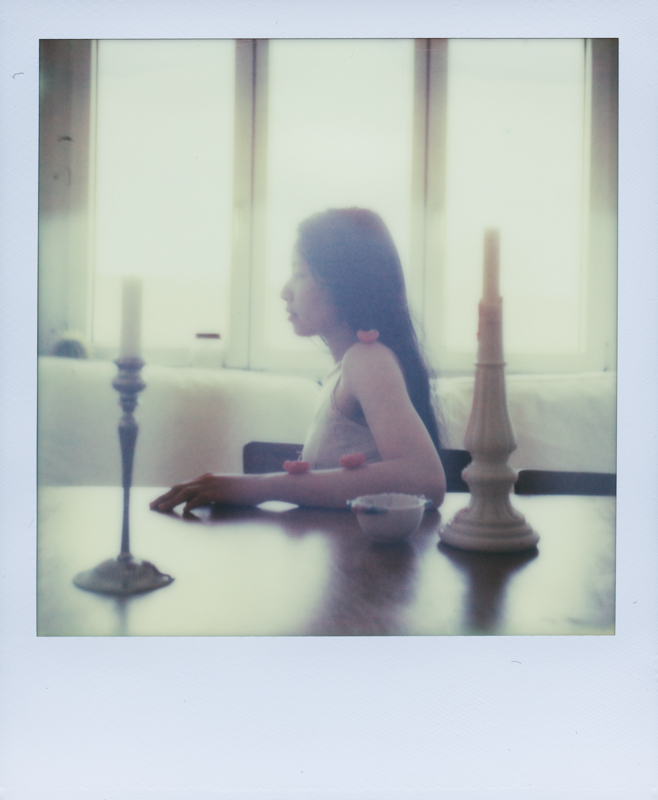 Two weeks ago I did a shooting in Zürich with Berlin based chinese model Luna Leung. I shot about 30 Polaroids and some roll film I still have to get developed but here’s some ’roids as a sneak peek and to continue my review on the latest Impossible films. The shooting went straight and was a lot of fun. Luna is great and besides modeling she does natural soaps and natural cosmetics. Check out her website. 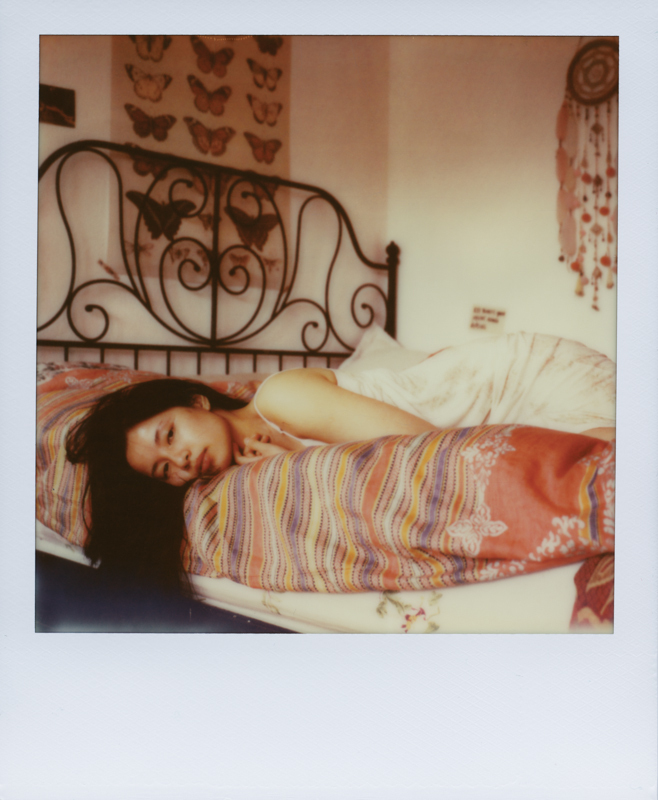 In my last post I did a review on Impossible Project’s SX70 Color film. In this case I shot on 600 Color film (prod. 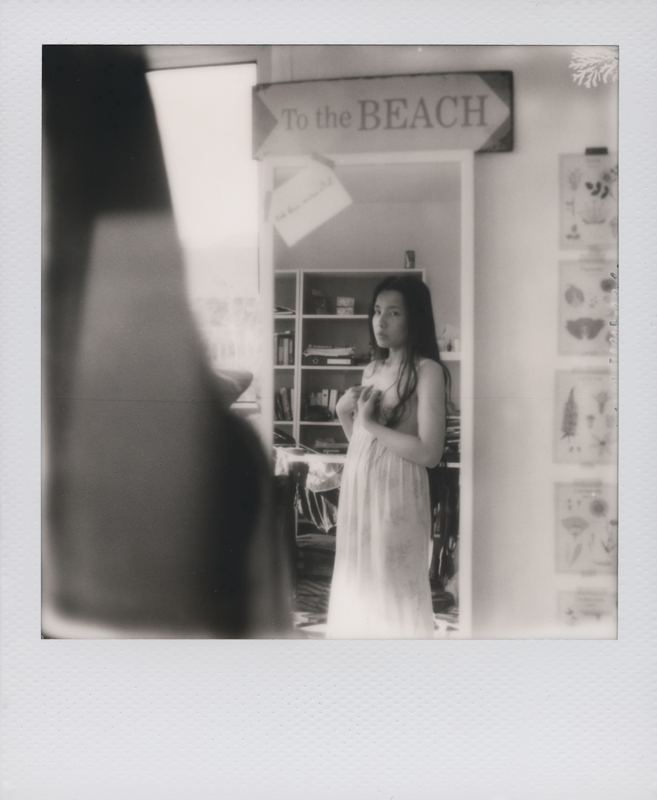 01.14) and SX70 BW film in different light conditions. In the picture above there was a lot of direct sunlight entering the bedroom and a warm color cast is easily noticed. Most of the picture of that day have a similar color rendition. In this second picture all the ambient light was shaded and the difference in the colors is quite surprising. The overall picture has a cooler color cast and is less saturated. These pastel colors are more fairy and the image is not as sharp as the others (not sure if this can be related to color temperature though). I wonder how much I can take control of these different rendition using on lens filters. The black and white film looks sharp and holds details pretty well. High contrasts are easily achieved by overexposing the image a little bit. Pictures are developed pretty quickly (about 5 minutes) as usual. With color film I only got few undeveloped patches shooting with a folding camera. It seems like the emulsion density has been improved so that annoying patch doesn’t happen as often as older production films. The same goes for BW film, 0 undeveloped patches out of 8 pictures. Other tests with filter will be posted soon! 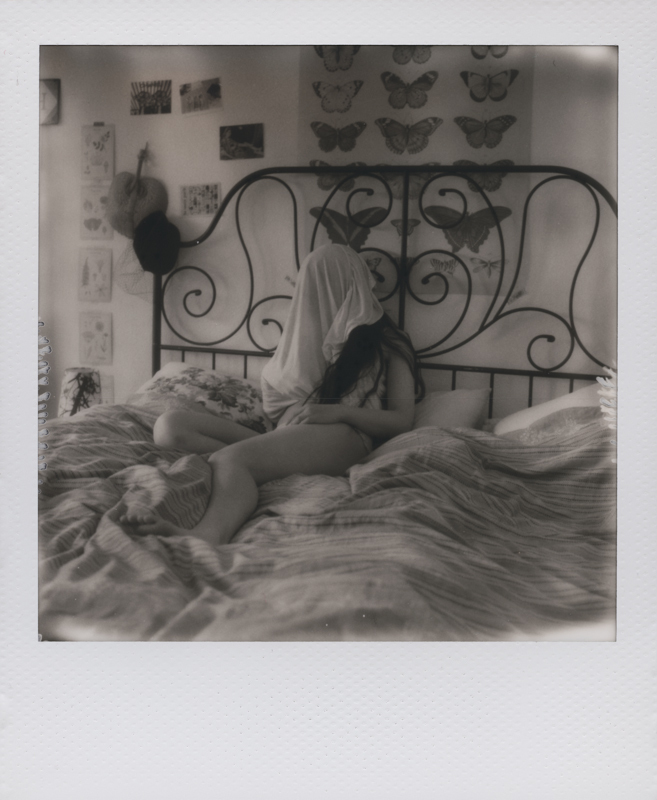 This entry was posted in Photography, Polaroid and tagged 600, b/w, color, girl, impossible, instant, polaroid, portrait, sx-70. Bookmark the permalink.